Has broken Nature’s social union. For a man of the 18th century, born and bred on the land and all too familiar with the harsh realities of life, these egalitarian words sum up Burns’ enlightened attitude towards animals. 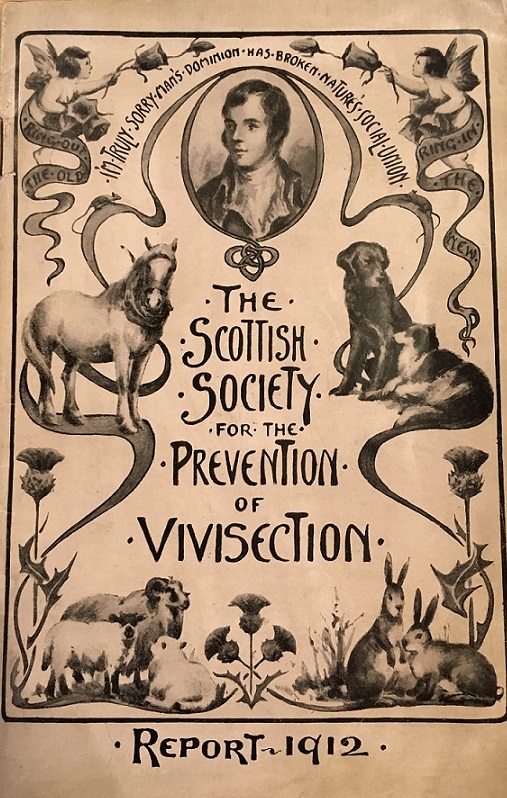 In the 21st century, animal welfare is often seen as a middle-class preoccupation and a weapon in social strife, and so it was in Burns’ day. Early reformers had started to campaign for kindness to animals, but were often mocked as bleeding hearts, cranks or dangerous radicals. There was plenty to campaign about in the 18th century. Animals were worked hard, and slaughter was often inhumane; there was cockfighting and dog fighting, bull and badger baiting. Fields sports were almost as hard on the dogs and horses as they were on the hunted animals. But it was also a time of change. More people were keeping pets and their passions – or as we would say nowadays, their emotions – were increasingly recognised. The science of sentience was beginning. If Burns was not a campaigner, in the modern sense, he certainly knew animals – farm animals, pets and wildlife. Many of his poems were composed out of doors, while he was working in the fields, and only written down when he went home at night. He wrote about animals in terms that were radical for their time, and he spoke directly to them as individuals. And there, his great gift was to meld together tenderness, sentimentality, and a dose of irony which has kept the lines fresh to this day. Wi’ wicked strings o’ hemp or hair! An’ let them wander at their will. To scores of lambs, an’ packs o’ wool! “there is something in that business of destroying, for our sport, individuals in the animal creation that do not injure us materially, which I could never reconcile to my ideas of virtue”. Alas! nae mair he’ll them molest! “I’ll miss thee.” Just like the mouse and the sheep, Burns sees the hare as a fellow mortal, no more, no less. What an inspiring message for Burns Night, as we raise a glass to Rabbie and to animal life around the globe.